We are Ron and AiRung … a couple of avid skiers with a quest to ski what we consider to be the top 100 ski resorts in North America. We already have a bunch of them done and have compiled impartial reviews of 75+ ski resorts. 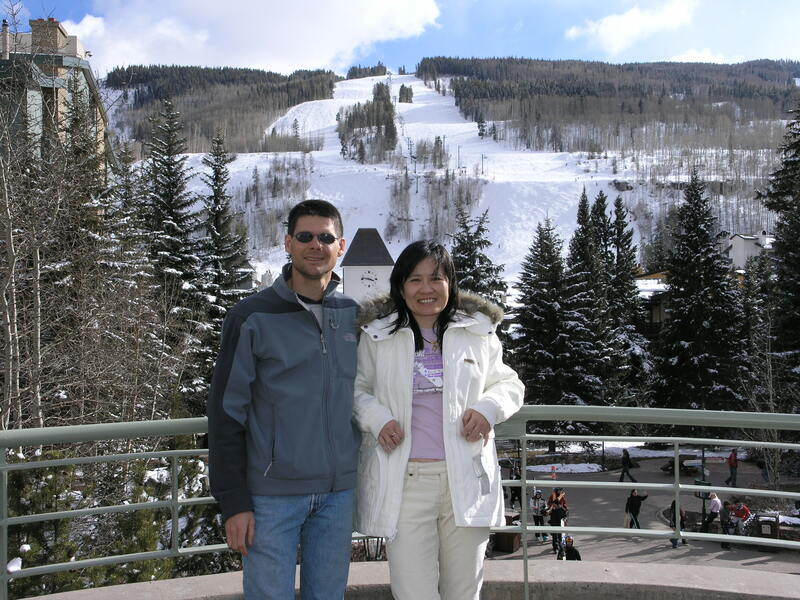 We both love skiing, travel, and the excitement of exploring new ski resorts. We have our favorites that we ski year after year and probably have the best overall skiing experiences at those places, but the most fun tends to be when we are exploring a new area and score a huge powder day or find something really unique. There are still many places that we haven’t tried in North America that many would consider to be “must ski” places where we can look for some of that fun. The reviews on this site are impartial and are based entirely on our own experience(s). All of the photos are our own. Each review contains a star rating on a scale from 1 to 5 stars. ★=Much below average: probably should not have been on the list, ★★=Below average, ★★★=Average, ★★★★=Above average, ★★★★★=Truly Exceptional: a top 10 resort. Sometimes we visit a resort only once on a day when conditions are not good, but this will not affect the rating that much. Everything is taken into account when a rating is established including lifts, grooming, average snowfall, restaurants, parking, etc. Sometimes a day of bad conditions is better for evaluating how a resort is managed. I’m Ron and have been skiing since age 4. In the 70’s I skied with my family in the northeast in New York, Vermont, and New Hampshire. We moved to New Mexico in ’78 I spent the next 7 years skiing the resorts there and in Colorado and Utah. I went to college in Gunnison, Colorado in ’85 and worked at Crested Butte Mountain Resort for 8-years, skiing a lot of the Colorado resorts when possible and getting in 80-days skiing per year. In ’93 I moved to the San Francisco Bay area and began skiing mostly in Tahoe, but also began traveling to farther off destinations like New Zealand for heli-skiing, and guided and unguided off-piste skiing in Europe. I also enjoy snow cat skiing as a cheaper alternative to heli-skiing. AiRung was born in Taiwan and first came to the U.S. in the 80’s. We met in ’98, but AiRung was not a skier at that time. She started skiing in ’99 and it took about 10-years for her to get to the point of being comfortable in powder and double-black terrain. She is now an avid skier and has skied in Europe, Canada, most of the Western U.S, and a few resorts in the East. We were married in ‘2000 and have a house in South Lake Tahoe, so Heavenly and Kirkwood are our home resorts. I just checked out your blog that you mentioned while riding on the chairlift yesterday, Dec 30, 2016, at Bridger Bowl, Montana. Hope you had a great time and make it back to Bridger again sometime. Nice job on the blog. I’ll be looking for this season’s report! If you happen to be bikers, check out the website I do with my brother about cross country bicycle touring: http://www.xcountrybike.com. Thanks Tony, that was some great skiing — especially at the end of the day. One of the great things about the project is meeting lots of interesting people from all over ski country. Enjoy Bridger and the Bozeman area!